Researchers from security vendor Qualys have found remote authentication bypass, information disclosure, denial of service, and other flaws in the D-Link DNR-322L (shown above) and DNR-326 network video controllers (NVRs). D-Link was notified of these vulnerabilities in late April and released firmware updates for the affected NVR devices in July, said Bharat Jogi, the Qualys security researcher who discovered the issues, adding that he didn’t actually test the new firmware versions to determine if they’re still vulnerable or not. Jogi planned to discuss the vulnerabilities Wednesday during a presentation at the BSides Las Vegas security conference. One vulnerability allows attackers to create an additional user on the device by simply sending an unauthenticated request to it, and another allows attackers to reset the password for the administrator account. Another vulnerability that Jogi considers a design flaw is that uploading a new firmware version to the device doesn’t require authentication. This enables attackers to upload their own malicious firmware versions. All that’s needed is to know the URL used for the firmware upload feature in the web-user interface, the researcher said. 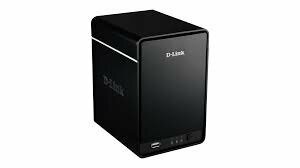 In the process of researching vulnerabilities in these devices, the researcher also found a NAS (network-attached storage) device from D-Link that he believes is also vulnerable. “All vulnerabilities that apply to the network video recorders also apply to this NAS device,” Jogi said. Using the SHODAN search engine, the Qualys researcher was able to find more than 16,000 D-Link NAS and NVR devices connected to the Internet. He used the vulnerabilities to access one of them and it proved to be an NVR from a casino in Ukraine. NVR devices are used by organizations including libraries, hospitals, and other businesses to monitor their premises for security purposes, Jogi said. However, what many people don’t realize is that such devices can have vulnerabilities that expose them to remote spying.